This proof-of-concept was developed by frog design for a hospitality client. Phase 1 of the project went from research on a segment of the client's guests to service design concepts. Phase 2 of the project involved running and evaluating one of these ideas as a proof-of-concept. Think about it – unless you’re a frequent flyer, you typically only visit a hotel a few times a year. How might a national hotel chain increase its engagement with clients outside of these few stays? frog developed one of the concepts it came up with after reframing the problem – a premier dining experience meant to take the guest out of their expected travel routine. Two versions of the experience were designed, with all the touchpoints and tiny details. We then brought the storyboards to life, partnering with the necessary chefs, kitchens, staff, and printers to turn the concept into a reality. 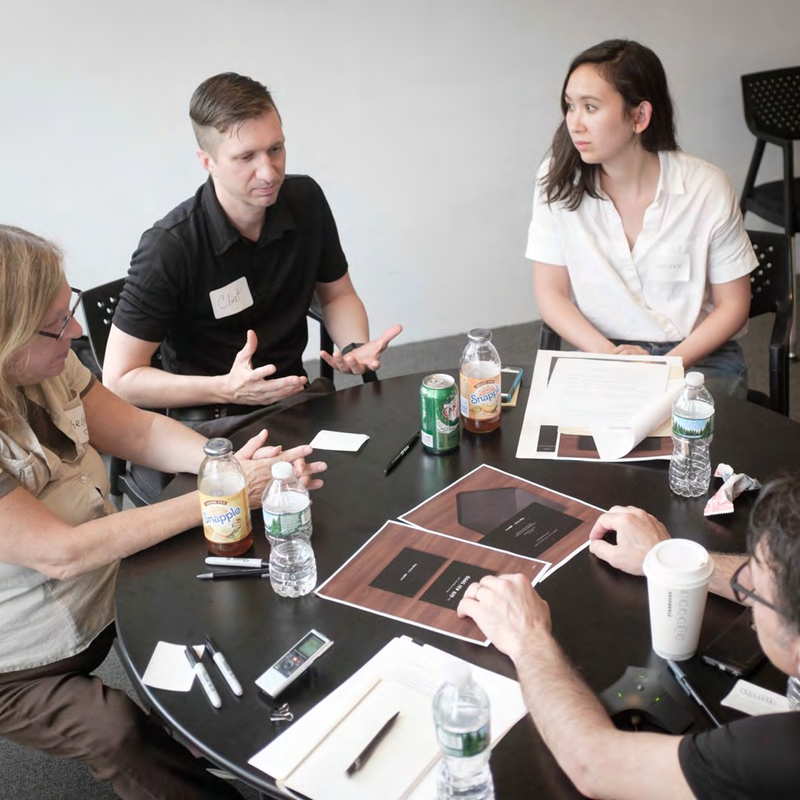 We invited 20 participants to each proof-of-concept, then watched the carefully-scripted experience unfold. Step 1. Define the stages of the journey and create an experience flow. Step 2. Choose your moments of delight. Step 3. Prep your behind-the-scenes actors. Step 4. Have your research participants experience the service, end-to-end. We structured in research before, during, and after the test run to collect feedback on the main touchpoints, artifacts presented, and other parts of the experience. The methods used included focus groups, intercepts, and 1:1 interviews. Interviews during the design phase of the project gave the team a feel for expectations and an unbiased reception of experience elements. Post-POC exit interviews with each hotel guest provided fresh feedback on the experience and an opportunity to probe deeper on different elements. Participants were given a worksheet to fill out before the interview began. The client asked to observe some moments of the proof-of-concept live. The results of the proof-of-concept and overall guidelines and recommendations were communicated in an experience playbook, experience video, and journey map for greater internal socialization. The client has decided to run pilots in select cities.